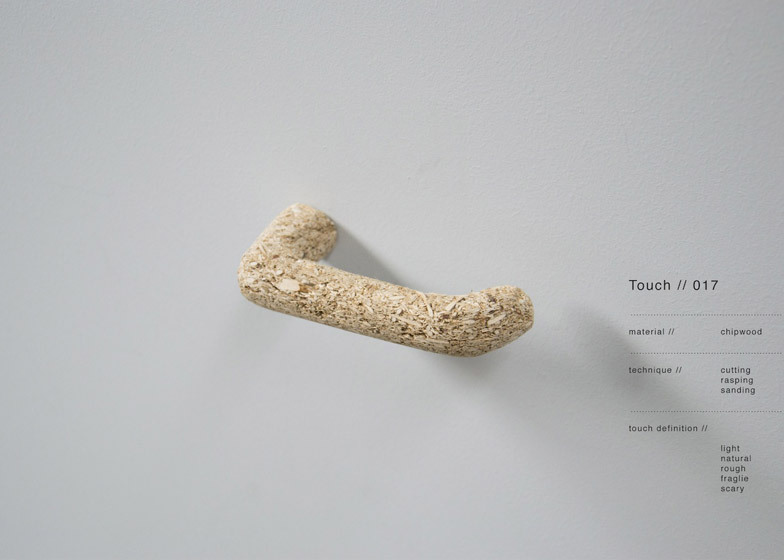 Eindhoven designer Rene Siebum has added textures to a set of commercial door handles to investigate ways of making them more interesting to touch (+ slideshow). 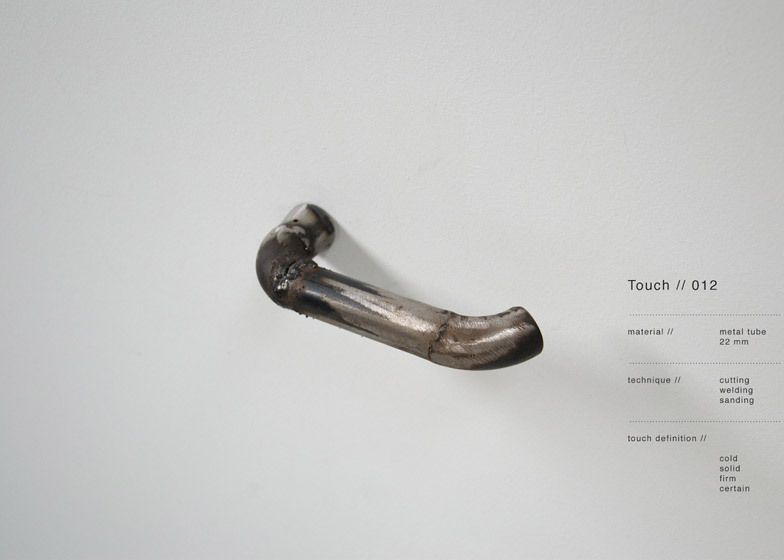 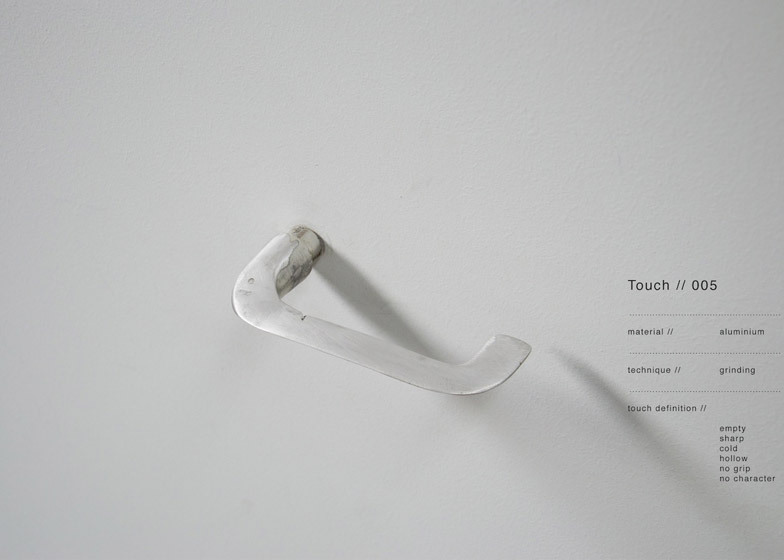 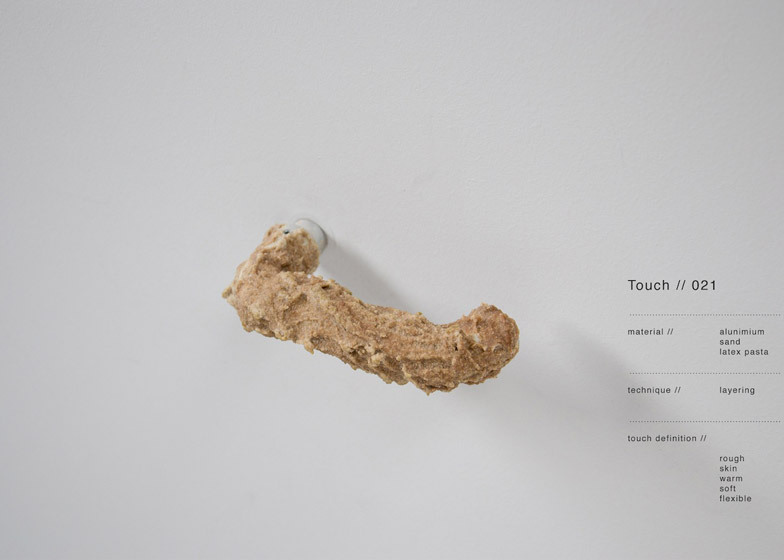 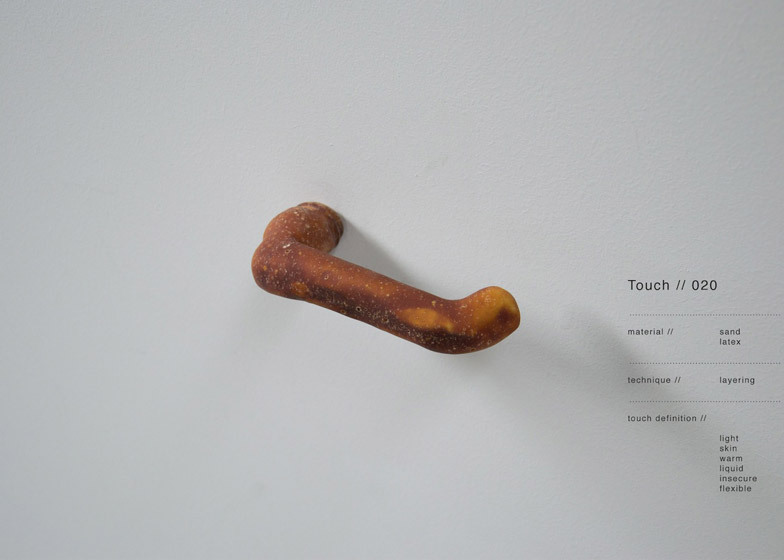 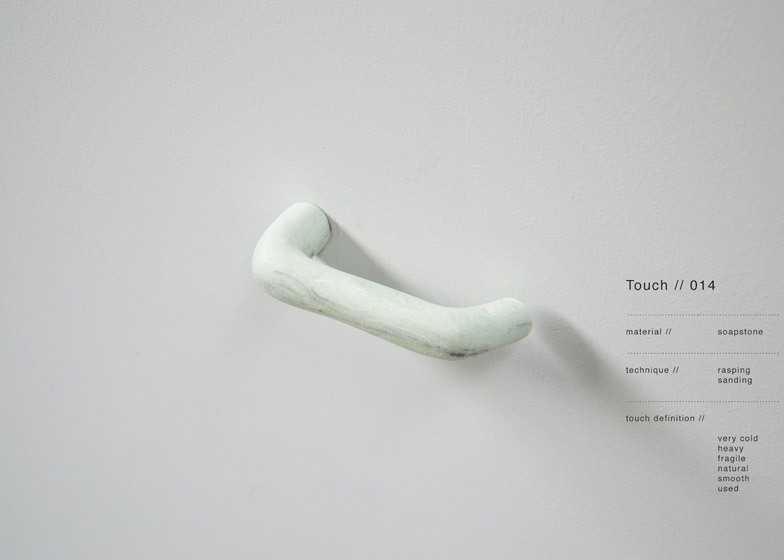 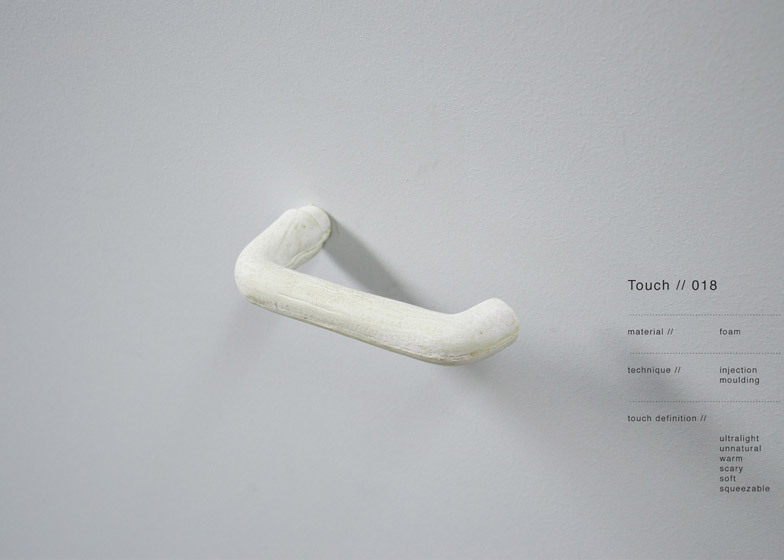 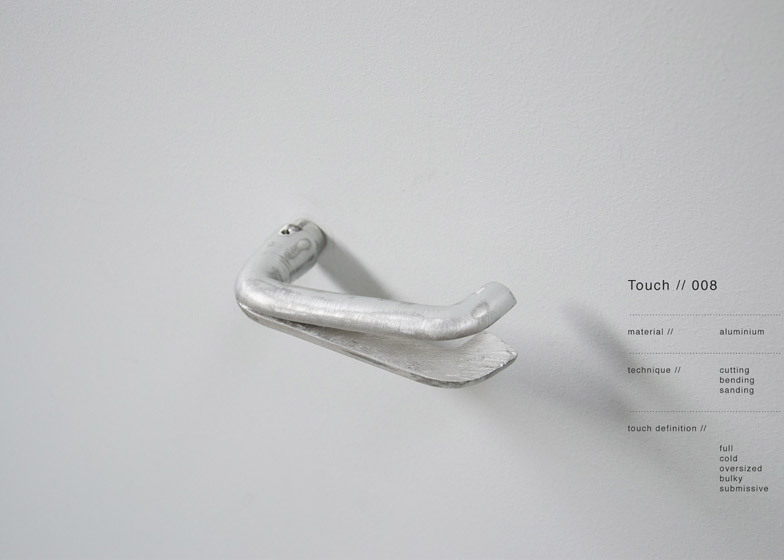 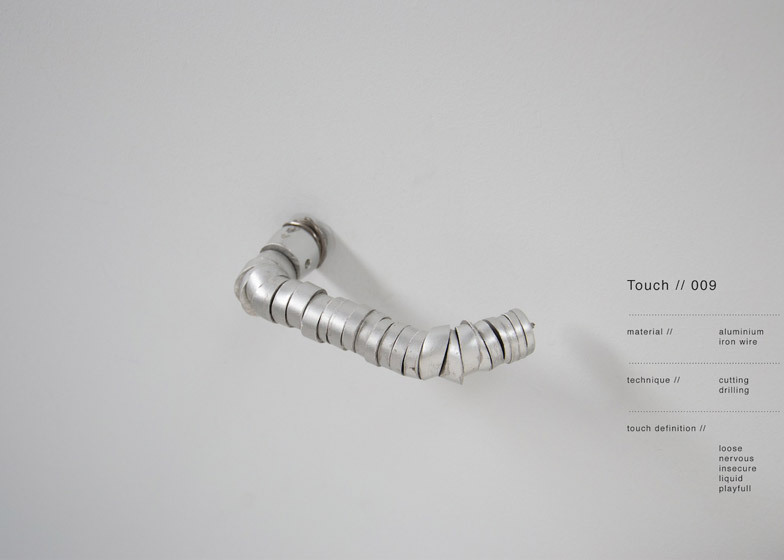 Rene Siebum's Touch study resulted in 24 iterations of an aluminium door handle bought from a local hardware store. 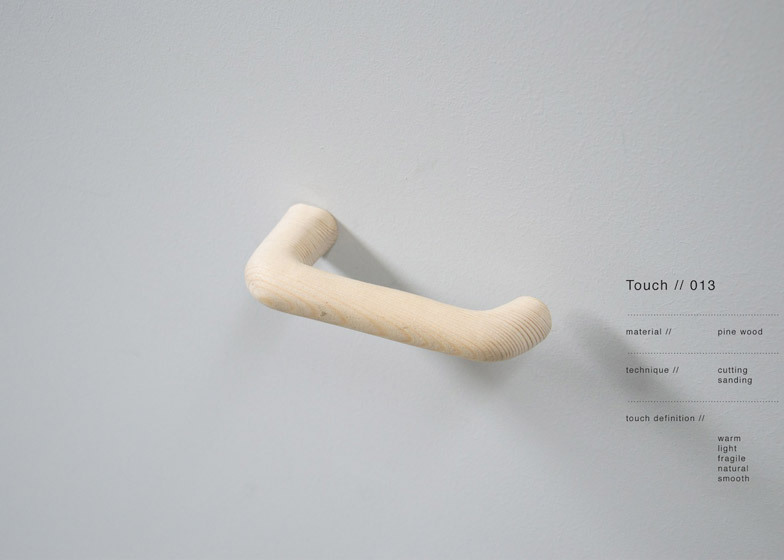 "I noticed it is one of the most commonly used in new-build housing in the Netherlands, but also when traveling abroad it's a recognisable model," Siebum told Dezeen. 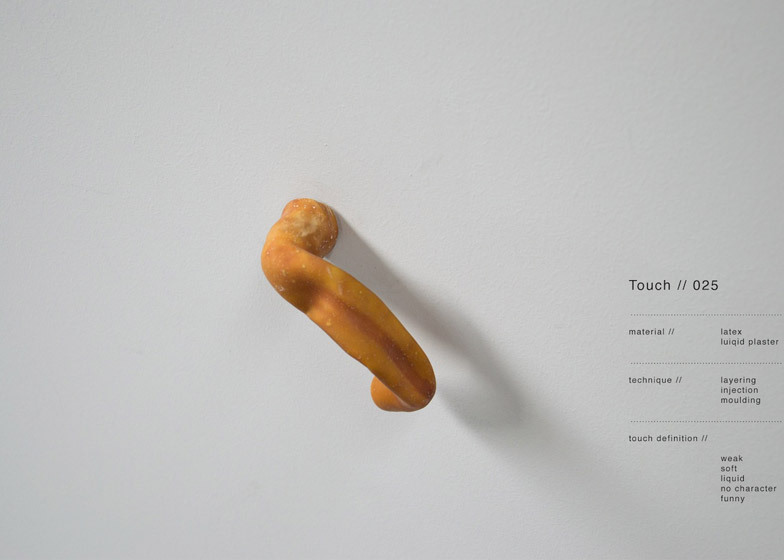 "I took this model as a metaphor and realised that the round hand grip like this one evokes the least sensorial stimuli." 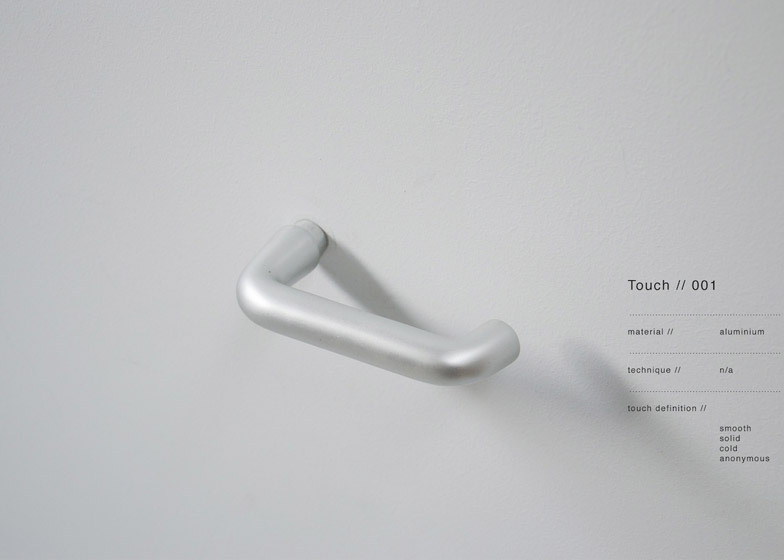 The designer added a range of different materials to the handles, including sand and different types of plastic. He also used a variety of processes to alter the metal, grinding and sanding it back to make it thinner and more delicate, and carving it to provide texture. 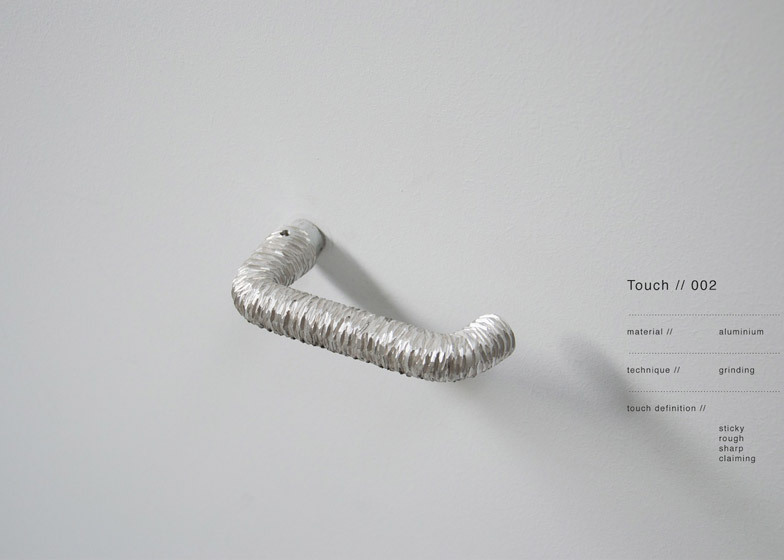 "I first looked at how our sense of touch communicates with us, I realised the basic elements for our touch sense are texture, structure, volume and temperature," said Siebum. 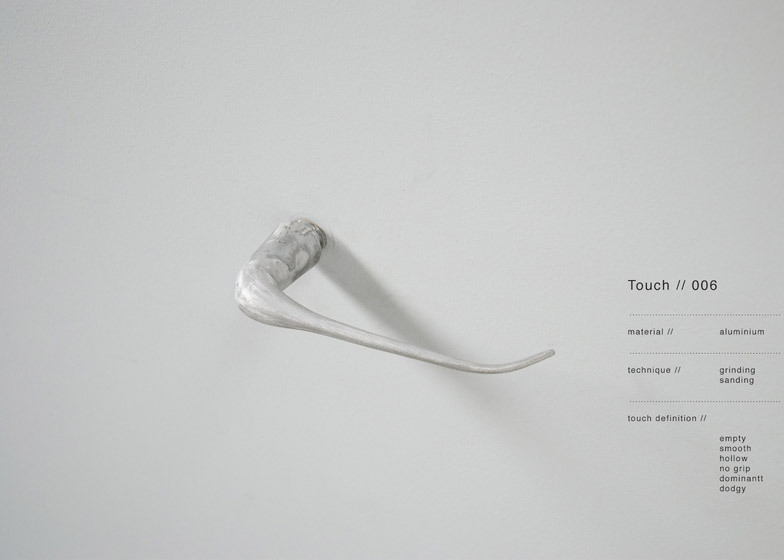 "I started the research with the idea, to take the basic known model and distort it, exploring what the model would 'give' me. 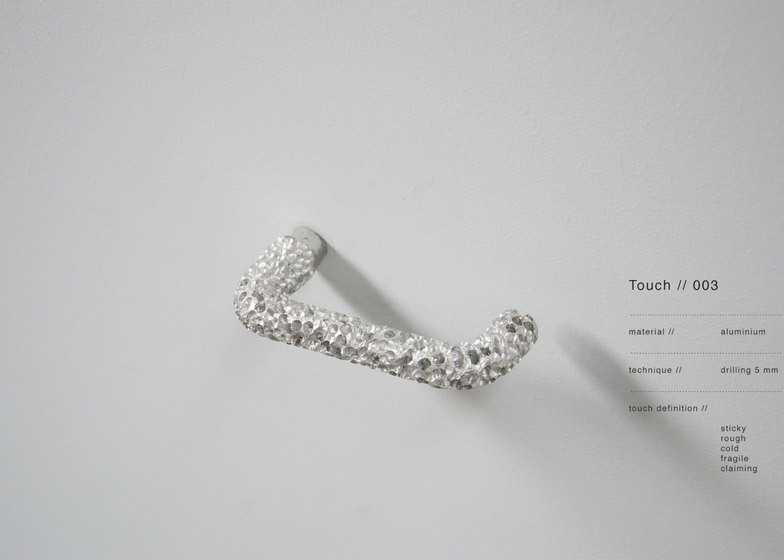 From there on I started to explore the change of texture, volume, structure and changed the materiality to play with temperature as well." 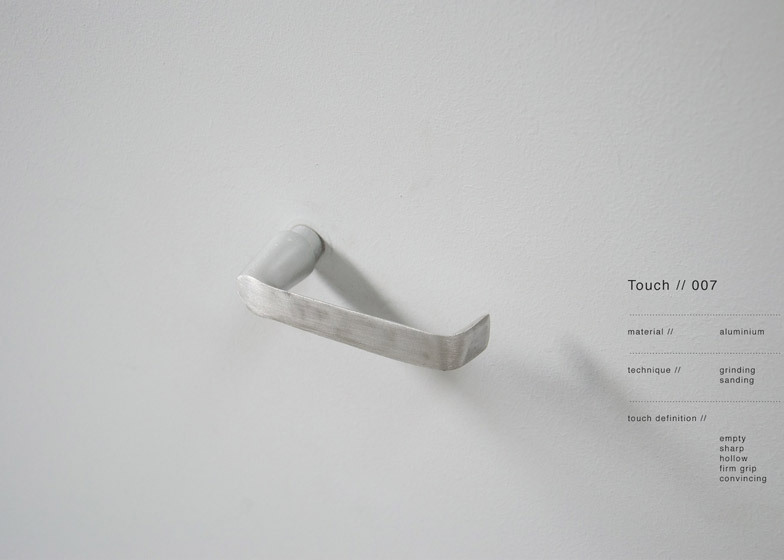 In one instance, the handle was chopped up into slices along its length then stuck back together haphazardly. 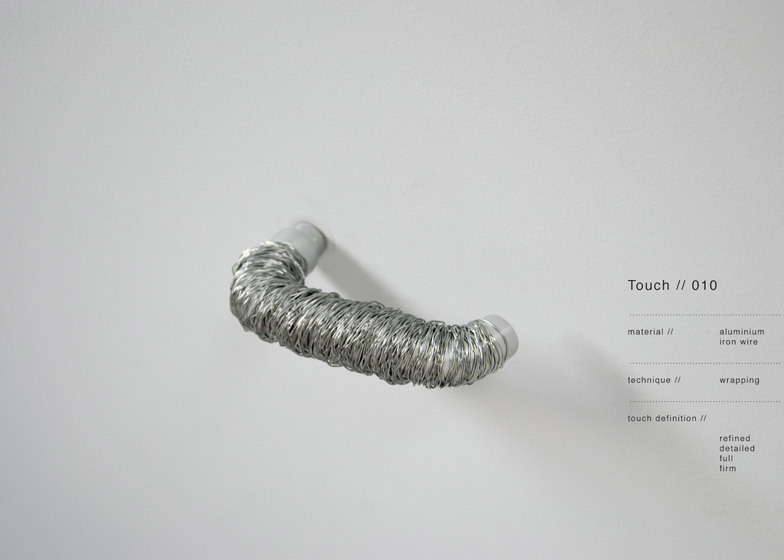 Aluminium, sand, and latex "pasta"
Another version is wrapped in a coil of metal wire, while another copies the shape of the handle with an open web of the same material. 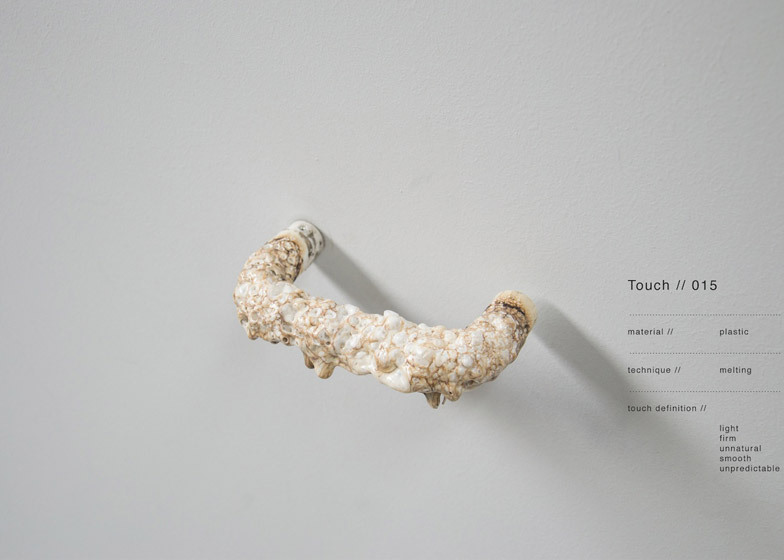 Other recreations were formed from wood, chipboard and soapstone – chosen for their different tactile qualities. 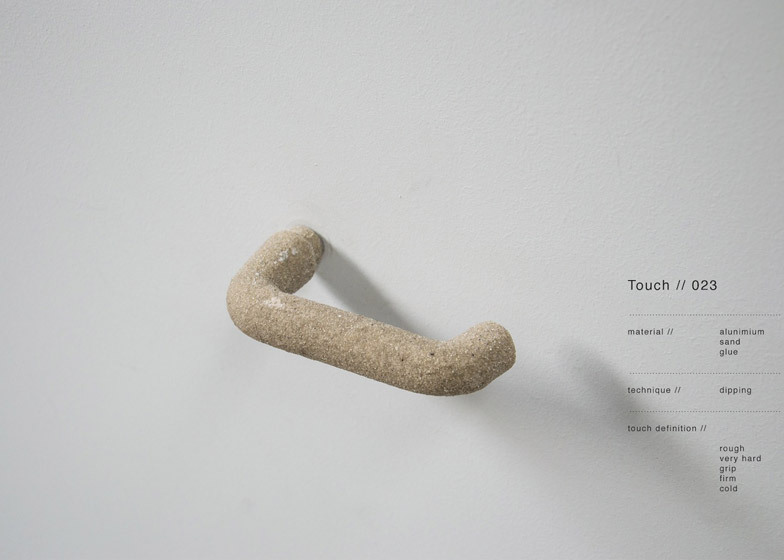 For more experimental designs, Siebum built up layers of sand and latex to create a light, flexible model that is malleable when warm. 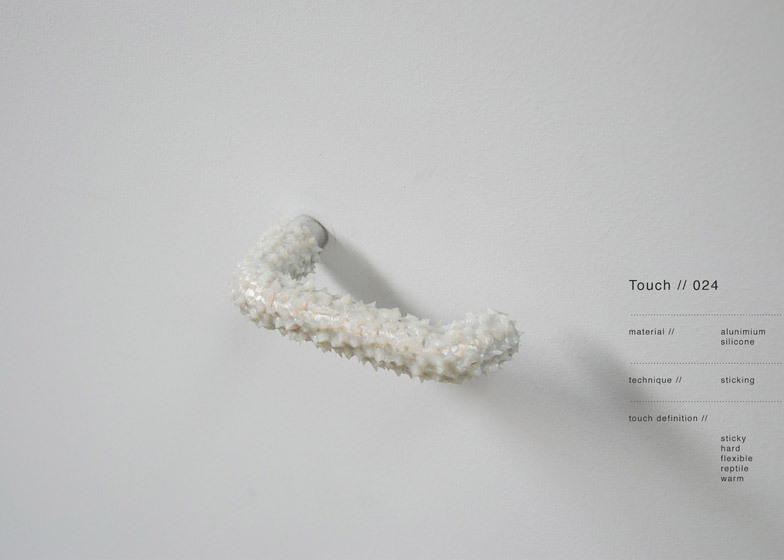 He melted a plastic version until it bubbled, then left it to cool so it set with smooth bumps across its surface. 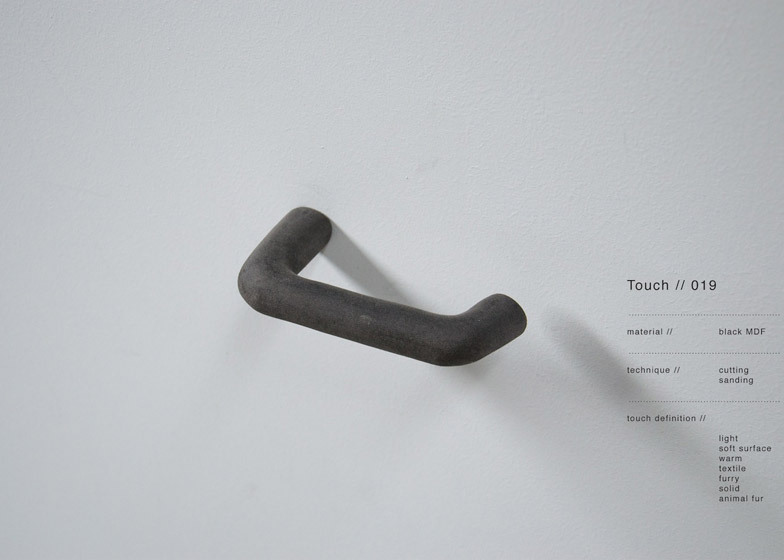 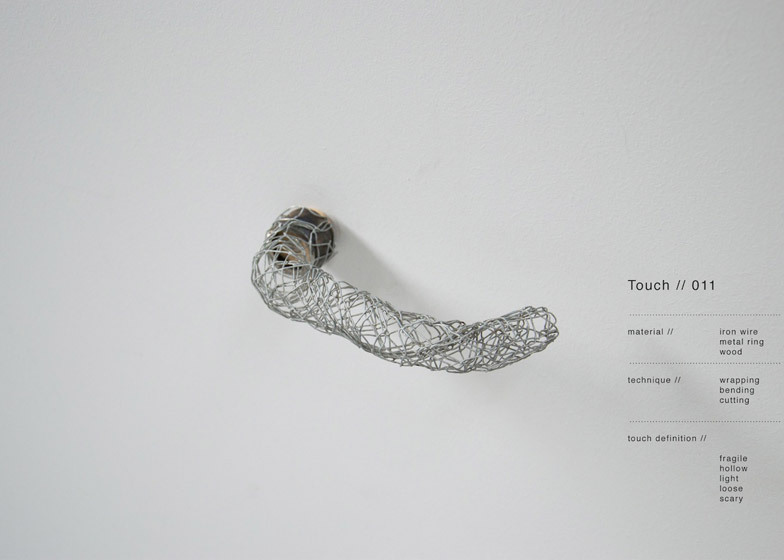 Touch was presented during Dutch Design Week in Eindhoven earlier this year.